The Quiet Door™ Commercial Door Soundproofing Kit is a good performing door soundproofing kit that was designed for locations that require moderate sound control. 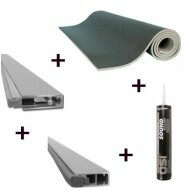 This four part kit offers good performance for doors in commercial and light industrial applications. Quiet Door™ Commercial Door Soundproofing Kits are best used in applications that require moderate soundproofing from moderate noise levels and where aesthetics are not of importance. The Quiet Door™ Commercial Door Soundproofing Kit will treat a standard 36 in. x 86 in. door and can be mounted to wood or steel doors. The components of this kit may need to be cut to ensure a proper fit. A 5/8 in. thick x 48 in. wide x 96 in. 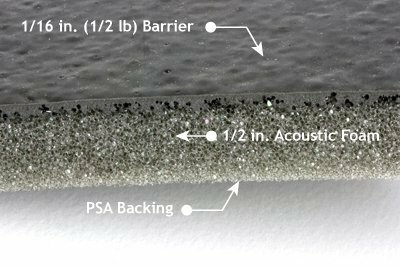 long sheet of Quiet Barrier® LD Soundproofing Composite that has a 1/2 lb barrier layer, a 1/2 inch acoustic foam decoupling layer with a Pressure Sensitive Adhesive (PSA) backing. 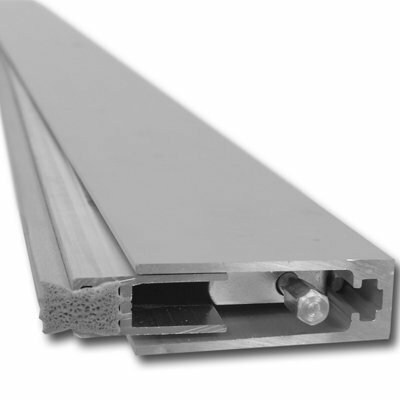 A Quiet Door™ Adjustable Perimeter Seal that treats a 36 in. wide x 86 in. tall door. A Quiet Door™ Automatic Door Sweep for a 36 in. wide door. 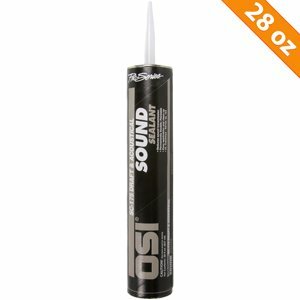 One Tube of our OSI® Pro-Series® SC-175™ Acoustical Sound Sealant. Special Order Sizes are available. Hand Selected Door Soundproofing Products — Our experienced staff selected our best products to be in these door soundproofing kits. 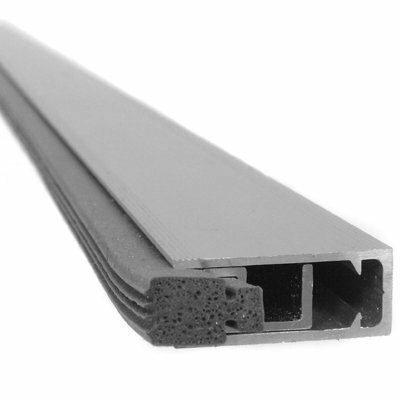 We based our selection of door soundproofing components on what has historically proven effective in reducing noise through existing door applications. Exceptional Quality — We selected only the highest quality materials available to be included in our Quiet Door™ Door Soundproofing Kits. All of our kits are built to order and hand inspected before being packed for delivery. Ease of Installation — most people with basic hand tools and basic construction know-how will be able to install these products. Two of our door soundproofing kits, Quiet Door™ Industrial and Quiet Door™ Commercial, have a peel and place door cover to help ease the installation process. Cost Effective — Quiet Door™ Door Soundproofing Kits are an economical alternative to expensive, replacement soundproof doors. These kits can be installed in about an hour, so labor cost and installation time is minimal. Available Class A Flammability Rating — Our Quiet Door™ Residential Door Soundproofing Kit has a door covering that is Class A rated which will pass most building code flammability requirements for exposed materials. Please check with your local code officials for code requirements. Read individual product pages for cautions and limitations.